Hello Fellow Rotarians – I am glad to be back. 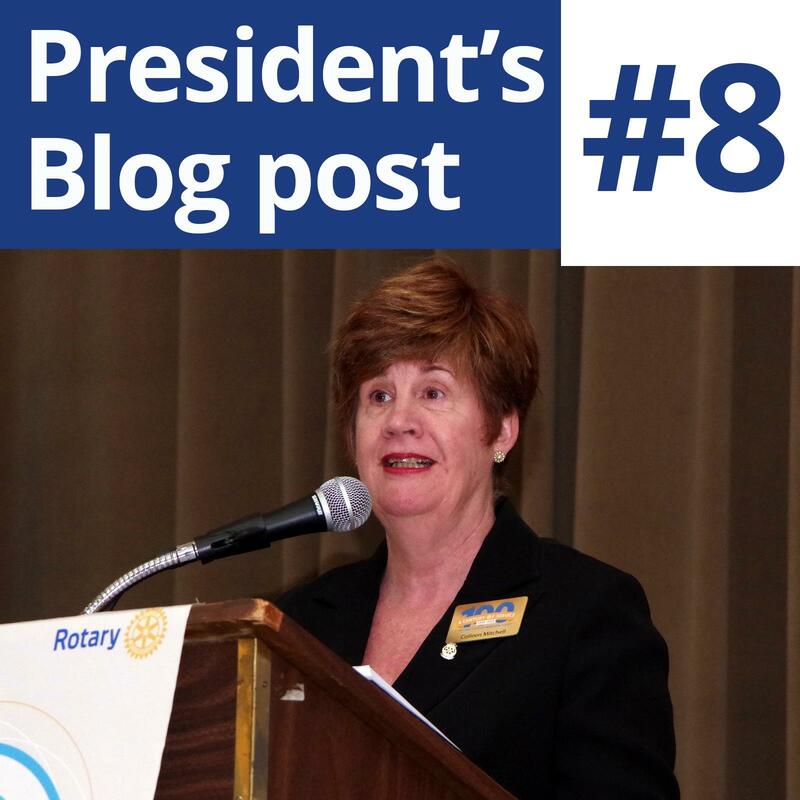 Lost track of my blogging with so many great things happening in Rotary these days. I feel like I am on a permanent inspiration train. Thanks to the suggestion of Rotarian Lex McCrindle, our Club hosted a Past President’s Lunch meeting. It was touching, inspiring and I learned so much that day as I am sure many Rotarians in the room did. We have decided that we need to continue this tradition from year to year. In this year of celebration it is important to honour our remarkable past. Our Centennial has been roaring along. There have been so many contributions from our Rotarians and from the community too. So proud of the impact that our Club has had and will have. Last week, ENWIN shared with us the beautiful and unique geodesic light sculpture created by artist/sculptor Nicolas de Cosson and powered by ENWIN that will be at the centre of the Rotary Club of Windsor (1918) Centennial plaza. Speaking of the plaza, we will dedicate the plaza on the afternoon of May 12 with RI President Riseley. In the evening we will celebrate 100 years of contributions in our community, district and internationally. We are almost there fellow Rotarians, May 12 is only 48 days away! By the way, see you at District Conference on Mackinac Island and the International Conference in Toronto, Canada.